Afinia 3D and Australian 3D printing software company Makers Empire have joined forces in a deal that will see the companies sell Makers Empire products in the North American education market. The deal applies to providing North American elementary and middle schools with the Makers Empire 3D design and printing Learning Program through the Afinia 3D Education Resellers network. The Makers Empire 3D design and printing Learning Program is easy-to-use 3D design software, a series of lesson plans, a portal for teachers and online resources. The Vice President and Education Market Lead for Afinia 3D, John Westrum, says his company’s strong presence in the US and Canadian markets means the Makers Empire 3D design and printing Learning Program will be an ideal fit. T he Makers Empire 3D design and printing Learning Program is aimed at providing teachers a way to engage students in STEAM subjects and helping them become competent teachers of 3D design and printing technology. Based in Adelaide, Australia, Makers Empire says that “if you can use a tablet, you can design and print in 3D.” The app can be downloaded from Apple’s iTunes and for Android platforms on Google Play, and the company says its lesson plans were sharpened with a trial program in a number of New York state schools which began in January 2015. Westrum says that, as far back as 2009, Afinia 3D began to consider the benefits of 3D programs for the education market. “There were some basic 3D printers geared towards consumers, but they were hard to use, and the customer support was basically non-existent,” Westrum said. The CEO of Makers Empire, Jon Soong, says the program was designed with elementary and middle school students in mind, and adds that it’s been tested extensively by teachers and students. Have you ever seen the Makers Empire 3D design and printing Learning Program in action in a school setting? 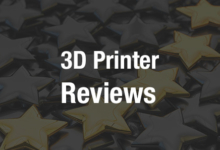 Have you ever used any of the line of Afinia 3D Printers? Let us know in the Afinia 3D and Makers Empire forum thread on 3DPB.com.